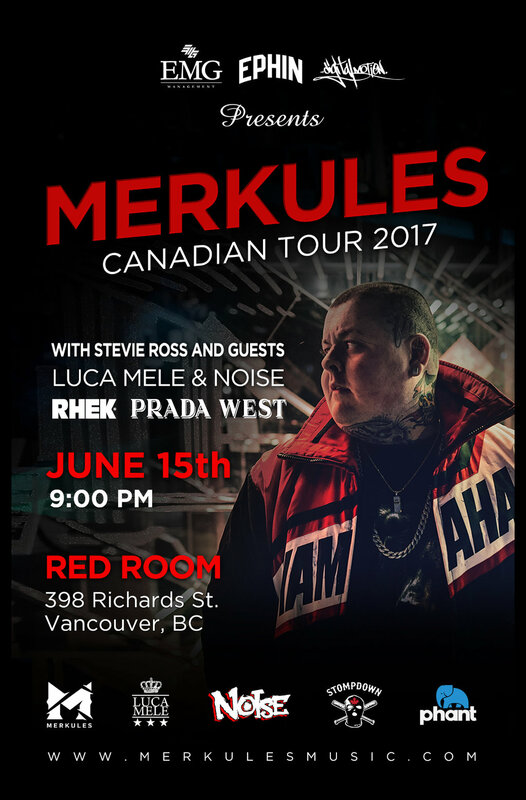 Despite only being in his early twenties, Red Deer, AB-based rapper Merkules has performed over 400 shows across Canada and Europe. Merkules is a big man, but does not let his size slow him down. His high energy performances have headlined multiple tours as well as supporting tours with mentors Onyx (who also inducted him into their 100 Mad Crew) and Snak the Ripper, and he has also warmed up audiences for internationally recognized acts like Bone Thugs N Harmony, Raekwon, Tech N9ne, Xzibit, Hopsin, D12, and Talib Kweli just to name a few. Merkules has sold thousands of copies of his 2 EPs and 3 full-length albums, the most recent of which debuted at #7 on the iTunes hip hop charts. 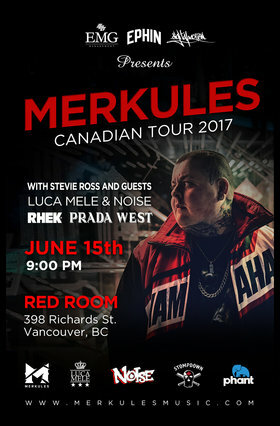 Merkules’ music videos have over 12,000,000 views on YouTube, his music has had over 4,000,000 plays on Spotify, he's earned respect from hip hop artists all over the world, and is the next big Canadian Hip Hop star. And when we say big, we mean BIG. open and serving until 2AM. Plan accordingly. 19+ only - Mature vibes - Please party responsibly. ★PK SOUND IN FULL EFFECT FOR A PROPER RAP MUSIC EXPERIENCE★ - Hearing protection is strongly advised. Hardcopies available at Beatstreet and Puff Commercial Drive + Ephin Apparel in Surrey.